6 Obestatin, an Anorexigenic Hormone or a Digested Peptide Fragment from a Ghrelin Precursor? 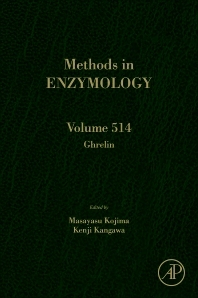 This new volume of Methods in Enzymology continues the legacy of this premier serial by containing quality chapters authored by leaders in the field. The volume covers ghrelin, and has chapters on such topics as orphan gpcrs and methods for identifying their ligands, ghrelin o-acyltransferase assays and inhibition, and thermogenic characterization of ghrelin receptor null mice.